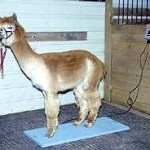 Light Weight & Portable: Can be positioned to weigh easily, or store when not in use. Each Weigh Bar is fitted with an easy carry handle; this provides quick and easy setup and breakdown for total portability. Low Profile: Less than 4″ high. Supplied in pairs. Total capacity of beams is 5000 pounds per pair in the 40″ and 33″ length. 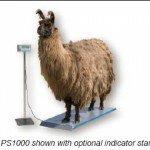 Animal Motion Hold: Special software allows you to obtain an accurate weight even if the animal keeps moving on the scale. Full Duplex RS-232 Port: The Full duplex RS-232 serial output provides on demand output to a printer, computer, or other compatible devices. Simple Parts Weighing: Speed and Accuracy are combined with the simple on step counting function. LCD High Resolution Display: Large easy to view .75″ high LDC backlit display. Construction: Carbon steel, high grade epoxy paint finish. 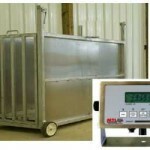 Digital weight indicator is stainless steel NEMA 4X construction. Enundiators: low battery, center zero, gross, tare, net, stable, pieces, pound, ounces, kilograms, and percent accuracy. 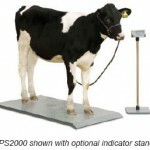 Go to BarnWorld.com to see our large selection of livestock scales!